Full time MBA/MPM with specialization in Personnel Management and Industrial Relations/Human Resource Management or equivalent qualification from any University or Institute of repute. Candidate have Minimum 20 (Twenty) years post qualification experience in line out of which 2(two) years should be in next lower level Managerial post in PSU/Large Private Sector industry having exposure to Manpower Planning, Industrial Relations & Welfare, Recruitment, Induction & placement, ability to ensure proper administration and good governance, Liasioning with Govt. Agencies, Employee Engagement initiatives, Statutory & Legal compliances, handling litigation including conciliation, arbitration and disciplinary matters etc., Learning & Development, PMS, HRIS, Salary & wage administration etc. Preference should be given in to the candidate working in State or Central PSU having proficiency in local language. ➡️ 5 year Age relaxable for ST and SC candidates. ➡️ 3 year Age relaxable for OBC and MOBC candidates. ➡️ 2 year Age relaxable for exceptional deserving candidates. 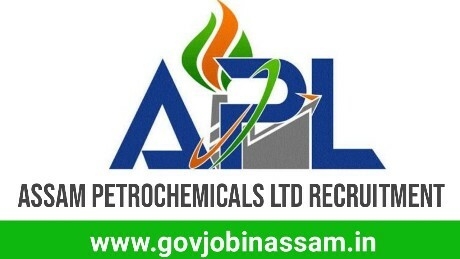 Interested candies have to apply offline for the following Assam Petrochemicals Ltd Deputy General Manager Recruitment. Apply with the detailed bio-data in prescribed form of application along with attested copies of certificates/testimonials in support of qualification, age, caste, experience etc. within 30 (Thirty) days by Ordinary/Speed post from the date of publication of this advertisement. Submit your offline application form before 11th October 2018.